personal counselling, educational counselling and vocational counselling. Our offices are located on the first floor in the Guidance Counselling suite. Our main aims are to guide students in their holistic development so that they can develop their own autonomy, independence and commitment to their responsibilities. 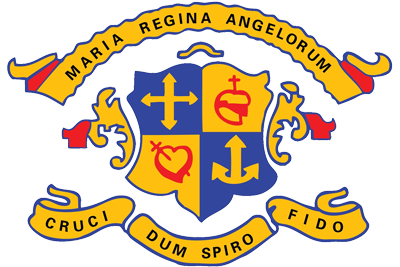 We endeavour to facilitate a culture throughout their six years in Loreto whereby they develop the skills to become critical, reflective thinkers and decision- makers. We envisage that students will learn life- long skills that will support them in their life- long learning. We work closely with many other stakeholders to ensure that there is a whole- school approach to guidance. To receive daily updates on careers related news by email, we strongly encourage all students to register on www.careersnews.ie. We use a mixture of counselling theories in our work, depending on the issue the student may have. Where personal counselling is concerned, we may, following some initial work with a student, decide to refer the student to an outside counsellor or GP if their need for counselling is greater than what a school setting can offer. We work closely with parents/ guardians in this regard. Student Profile: We ask students to fill out a student profile to give an opportunity to raise any concerns. We then follow up on specific concerns by means of one- to- one counselling. Assist SEN department in September with administering CAT3 to help identify learning strengths/ difficulties of students. Study skills seminars delivered by ourselves or other interested teachers. We meet our respective classes to give talks on subject choice for second year. Meet parents at night to deliver the same information. Cara system- We liaise closely with the Cara system where TY students are trained to mentor 2nd years in need of support. We aim to carry out an updated profile sheet so students can express if there are any issues arising. Organisation of Study Skills Seminar by an outside company. In 2018/2019 we had The Super Generation. We usually organise a study skills talk for parents on the same night. Study skills seminars carried out by either ourselves or interested teachers. Loreto Secondary School places great importance on the provision of guidance class time. Students have one class period of guidance per week in TY, 5th and 6th year. We have a very structured programme of vocational topics we cover in these classes and we place great emphasis on regular class attendance and participation. We use a programme called “Classroom Guidance” designed by renowned Guidance Counsellors Fred Tuite & Brian Comerford. You will find the PowerPoint presentations at www.classroomguidance.ie The students fill in a learner’s journal every week in class to keep a record of their learning. We encourage students to tell their parents/ guardians what they have learned every week so that their parents/ guardians are fully informed and involved. We encourage the parents/ guardians to actively engage in what they are learning and to do further research online together on each topic to reflect on its relevance to each individual student and family. We endeavour to instil a growth mind-set in all our students, encouraging them to reflect on their own capabilities, how they can improve further and how to plan for their future college courses/ careers. Workshop to enhance friendship/ conflict resolution skills/mental health/ self- esteem. Facilitators change year to year depending on availability and needs of particular year-group. Organised in collaboration with Student Care Co-ordination Team (SCCT). Administration of CAT4 to help with subject choice after Christmas. CAT4 will show students their abilities in four main areas, namely verbal reasoning, non- verbal reasoning, spatial reasoning and numeracy. The results of these tests will inform students of their strengths which will help in subject choice and study skills. Results will be distributed to each individual student in January. Students learn about subject choice in TY guidance class. We order the Institute of Guidance Counsellor’s (IGC) directory of minimum entry requirements for all courses in the Central Applications Office (CAO) for each TY student. This is to make them fully aware of the requirements needed for certain courses and to instil the importance of the high level of research needed for course investigations. We meet with TY parents at night to deliver the same subject choice talk. Mock interview night. We are very lucky that we have a group of extremely generous business people in our school community who volunteer to conduct mock interviews with our TY students. Our Board of Management member Barbara Foley has been instrumental in building this relationship between the school and local business community. Our students always benefit greatly from the experience. Local life coach Eugene Daly contributes hugely to our TY guidance programme. Eugene teaches the students all about positivity/ positive self- talk and goal setting for the future. Additionally, he carries out the Myers Briggs personality tests on all students and shows them how their personality will relate to their future career choice. We hugely appreciate Eugene’s input as he is so generous of his time and is an extremely knowledgeable asset to us and our students. Signing up to the newsletter on careersnews.ie. Students will receive an e-mail every day with a summary of the main career events/ open days/ new courses etc. We encourage students to read these e-mails every day as it is an invaluable source of information for them. It motivates them also to remain focussed on planning for their futures. Social Media. Following the universities, ITs, and colleges of further education on whichever social media platforms they use to constantly keep up to date. Open Days and Careers Expos– students are taught how to easily find the dates of upcoming careers events/ college open days. This can be found on qualifax.ie, the individual college websites and on posters outside both guidance counsellor’s offices. It is the students’ own responsibility to keep an eye on these sources of information on a regular basis. We encourage students to attend as many open days as they can on Saturdays with their families. However, we aim to take our students to an example of a university (usually UCD) and an example of an IT (usually WIT) every year. These are ambassador days where our students get a chance to meet with college staff and students, to see the campus and facilities and learn about the courses. We also teach students the important questions to ask to get the most out of a career event or open day. My Goal– revision of goal setting with Eugene Daly. Target setting and reviewing. Habits of Effective Students– mental health awareness and study awareness. Ability – Junior Certificate Results, Continuous reflection and record of class tests and house exams. The results of the Interest, skills, qualities and values tests they carry out in Essential Guidance workbook. Students may wish to take additional Interest and Personality tests on careersportal.ie and www.qualifax.ie in their own time or if time allows in class. Career Investigation Tools: qualifax.ie ,www.careersportal.ie , www.gradireland.com . Career’s Night– Every second year we organise a Careers Night to allow students from 5th and 6th year to meet with approximately 50 different types of careers. Again, we acknowledge and appreciate the huge group of professionals that Barbara Foley has built up with us over the last number of years. It is not an easy task! We also greatly appreciate these professionals giving up their time to help our students with career information and insight. Individual Career Investigation – to be completed before Easter. Our students must put all their knowledge and skills into practice in the last term to produce a project on two or three different careers they are currently most interested in. This focusses the students’ attention to use their profile they’ve built up to reflect on if this career would suit them. They also look at different courses and pathways that lead to these careers and investigate if they have the correct leaving cert subjects and how many points they’ll need etc. Additionally, we show students the “Work Sectors” tab on Careersportal which gives in-depth information on the daily lives of people in many different careers. Introduction to CAO– we emphasise the importance of adhering to all the deadlines they learn about. Genuine Order of preference is of utmost importance! We also very much advocate that students investigate and apply for all level courses in the CAO system, i.e- levels 8 and 6/7. HEAR = Higher Education Access Route- a special access scheme for students from economically disadvantaged backgrounds. Look at www.accesscollege.ie for information on applying and documents needed. DARE= Disability Access Route to Education- a special access scheme for students who have a disability/ condition/ learning difficulty that has impacted on their education. Students and parents need to be very aware of the supporting documents needed for a DARE application and should access this information on www.accesscollege.ie as soon as possible and collect said documentation. We advise that families (whose daughter has a learning difficulty) should contact their educational psychologist to ensure that their reports and percentile scores are up to date/ meet requirements as these assessment results are best coming from the Educational Psychologist. Likewise, make sure that all reports re ongoing illnesses, mental health conditions etc have the proper professional supplying the report. The Guidance Counsellor or learning support teacher will fill up an Educational Impact Statement (EIS) for each DARE student and the student must write a personal statement themselves too. (ii) complete any online forms/ personal statements by the 1st March and (iii) post all supporting documents away to arrive in CAO, Galway by April 1st. We organise, in collaboration with the SCCT, a mental health event. This year it was the “Beat the Blues” programme by AWARE. This programme teaches students the basics of Cognitive Behavioural Therapy (CBT) and how their thought patterns affect their feelings and actions. We meet all 6th year students for one- to- one vocational counselling sessions. We use our counselling skills to guide students to reflect on the choices they’re making and to help them to clarify their thoughts on their educational and vocational planning. Ms. Kelly sees students from 6.1 & 6.2 and Ms. Foley sees students from 6.3 & 6.4. (Although this year, Ms. Foley also sees students from her 6th year Business class as well). This year we introduced a “pink sheet” which students fill in during their vocational counselling session with us. The aim of this sheet is to initiate conversations between the student and their parents/ guardians the night of their vocational counselling sessions so that parents/ guardians are aware of the topics discussed at the session. There is a very important section on this sheet called “next steps in my planning”. The parents/ guardians can support and guide their daughters then with these steps. It is imperative that all partners work together and that students and parents/ guardians understand that guidance counselling in schools is to guide and support students with their educational, personal and vocational issues- not replace what must be done by the students and parents/ guardians themselves. Throughout the year, we facilitate available school liaison officers from third level institutions to give talks to our sixth year students on their particular institutions. Habits. Settling back and creating good habits. CAO night for parents/ guardians. Meeting with parents re CAO/ Options after the Leaving Cert/ Issues involved with leaving home/ going to college. Higher Options Conference in Dublin. We take all 6th year students to Higher Options. Here, they will get an opportunity to speak with colleges from CAO, UCAS and Eunicas (sometimes even America), Colleges of Further Education, officers from HEAR & DARE, maybe Gardai, Nursing/ Midwives organisations, apprenticeships etc. We prepare our students well in advance so that they can gain maximum benefit from this day. It is their ideal opportunity to ask about courses, scholarships, accommodation etc. Students should have acquired the research and IT skills by this stage to allow them to keep up to date on scholarship and accommodation deadlines. These are students’ own responsibilities. There are always talks on for students at the Higher Options Conference, usually from CAO, Eunicas, Nursing and SUSI (Student Universal Support Ireland- i.e the body that processes grant applications). We supply the students with worksheets and maps of the RDS in Dublin in order to focus them and plan for this event. Wellbeing Day. We organise, in collaboration with the SCCT, a whole day of wellness for our sixth years. We have a talk by a psychologist, followed by workshops in yoga, mindfulness, art therapy, drumming, dancing, nutrition etc. Scholarships– we spend time in class learning about some popular scholarships such as Ad Astra in UCD, Quercus in UCC and JP McManus scholarships at allirelandscholarships.com . Students are allowed time to research their own favourite colleges and scholarships. SUSI grant application process. SUSI usually opens for applications at the beginning of April every year. More information can be found at susi.ie . Students and parents/ guardians should carry out the “eligibility reckoner” on the SUSI website to ascertain if they think they may be entitled to a grant or not. Not going to college. Other options available after the leaving cert. Future Skills. Where the skills gaps lie at the moment. Transitioning to college. Hopes & fears. Differences between second and third level study/ expectations. Becoming independent away from home/ budgeting. Keeping safe.